Some good news for the Haitian farmers - The World Food Programme (WFP) has launched a new competitive tender (appel d'offre) for the supply of 1,750 metric tons of rice locally produced by farmers' organizations for their school feeding program. Better known in Haiti by it's French acronym, Programme Alimentaire Mondial (PAM), WFP is supporting the Haiti Ministry of Agriculture's call to "kore production nationale la." The objective of the government of Haiti is to increase local agricultural production in Haiti in order to reduce food insecurity while increasing Haitian farmers' access to markets. 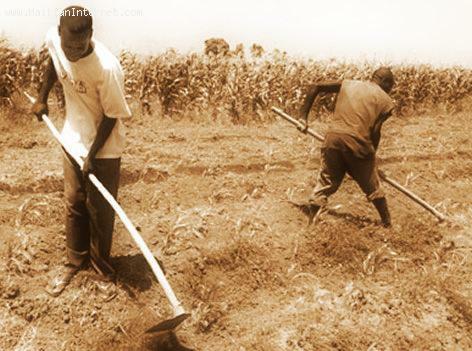 Agriculture is considered the cornerstone of reconstruction in Haiti. According to news from Radio Metropole in Haiti, WFP is planning to buy more local food next year, and locally produced milk for their "Let Agogo" program. Our warmest greeting from VILACONIC Co., Ltd in Vietnam. We can supply the best quality Medium rice, Round rice, Long white rice, Jasmine rice, Perfume rice to you. Our price is competitive and we take responsibility to any quality uncertainty. The plan is good and will help many farmers and families in Haiti. Voila qui contribuera a reduire le deficit progressivement equilibrer la balance commerciale. Speaking as a non Haitian who loves Haiti very much and goes back and forth there I have been seeing wonderful changes there of course there is still a long way to go. having farms in Haiti is very important the soil is good and Haiti is capable of growing its own fruits and vegetables so there will be less hunger.